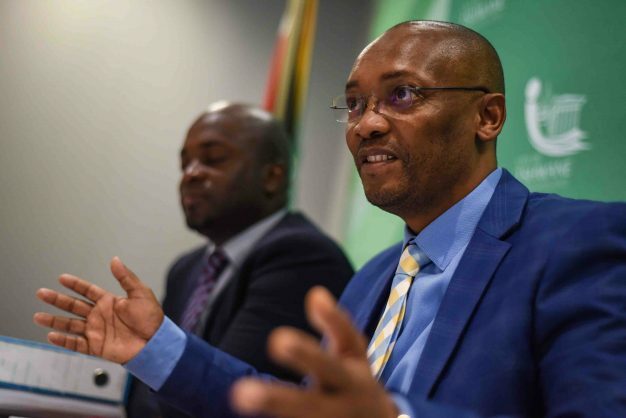 AUDITOR-GENERAL has declared a multi-million rand tender awarded to an engineering company GladAfrica by the City of Tshwane in November 2017 irregular. The damning findings are contained in the City’s annual audit report for the period 2017/2018. No longer seeing eye to eye. Mayor Solly Msimanga (left), who recently announced his resignation, has made failed attempts to suspend Moeketsi Mosola over the allegations of tender irregularities. City manager Dr Moeketsi Mosola had steadfastly defended the supply chain management processes undertaken to award the contract. “The supply chain management division strictly followed the City’s processes and procedures of appointing a service provider, in this case, Ariya Project Managers (GladAfrica) from a panel of service providers,” Mosola said in August last year. The controversial contract was envisaged to assist the City with the roll-out of infrastructure project valued at R12 billion. According to the 2017/18 municipal report, the City incurred irregular expenditure amounting to R317 million from non-compliance with supply chain management regulation 32 in relation to the appointment of Glad Africa. The audit report showed that the City didn’t comply with the supply chain management regulations. “The non-compliance could have prevented had the city properly monitored the compliance with the constitution and SCM regulations,” the report said. Despite the irregularity of the contract, the City obtained an unqualified audit opinion for the period 2017/18. Regulation 32 of Municipal Supply Chain Management was applied by Mosola to procure a project management contract. The application of Regulation 32 was modelled on the approach adopted by the Development Bank of Southern Africa. In line with the regulation, the city obtained names of 26 companies to compete for the contract and GladAfrica was chosen as a successful bidder. Mayor Solly Msimanga, who recently announced his resignation, has made failed attempts to suspend Mosola over the allegations of tender irregularities. The EFF had been against Mosola’s suspension, saying there was no evidence of wrongdoing on his part.